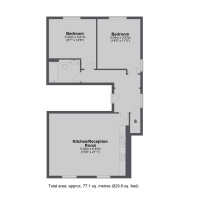 Jacksons | 2 bedroom property to let in Lewin Road, Streatham - £1800 pcm to find and add some properties. A luxury two bedroom apartment located in the heart of Streatham which blends contemporary design, unique charm and period features within a beautifully restored Victorian Conversion. Lewin Road is a wide tree lined street in the heart of Streatham within moments of Streatham Common and the Rookery Gardens with excellent transport links in to London. A two bedroom, two bathroom split level flat set across the first, second and third floor within a former Warehouse located just off of Clapham Park Road. A beautiful and spacious three bedroom, split level victorian conversion flat. This property would be perfect for a professional family or couple. A beautiful three double bedroom Victorian flat conveniently located for both Balham and Wandsworth Common stations.